Rachel Kowal is a Clinical Professor of Business Law at NYU Stern School of Business. Professor Kowal teaches courses in the undergraduate and graduate programs including Law, Business and Society; Business and Its Publics; Professional Responsibility and Leadership and Stern International Volunteers: Ghana. She joined the Stern faculty in 1988. Professor Kowal is Deputy Director of the Business and Society Program at the Stern School. Other administrative positions held by Professor Kowal include Associate Director of the Markets, Ethics and Law Program; Director of the Citi Program in Leadership and Ethics; and, Associate Director of the Daniel P. Paduano Faculty Research Symposium in Business Ethics. Professor Kowal also served as Associate Dean for Academic Affairs at Stern’s undergraduate College. She is the recipient of the Ely Kushel Award for Excellence in Teaching and the Citibank Award for Excellence in Teaching and Service to the Stern School of Business. Professor Kowal is an attorney who earned her J.D. from Benjamin N. Cardozo School of Law. 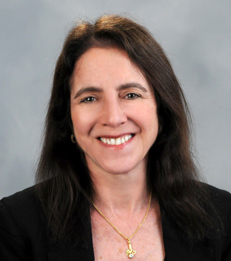 She is a member of the New York Bar and the Connecticut Bar. As an attorney, she practiced tax and bankruptcy law with the Internal Revenue Service and the U.S. Attorney’s Office. She has a B.A. in history from Cornell University. Her current research interests include social entrepreneurship and economic development.